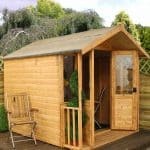 True to its name, this is a summerhouse for dreamers to while away the hours in the beautiful surrounds of their garden. With its stunning looks, this classic summerhouse provides a light and airy environment in which to enjoy your favourite past times. 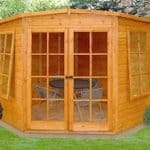 This is a sensational looking deluxe summerhouse with all the attributes you would expect. Constructed from long lasting and hard wearing wood with tongue & groove cladding for extra strength and durability this is built to last, Superb wide opening double doors and glazed windows allow for great light and air inside and there are little touches that make all the difference such as an exterior clock. There is fantastic space inside for you to furnish as you wish and it is the ideal place to indulge yourself in your favourite hobby, enjoy a glass of wine, read a book or kick back with the family. It is bound to turn heads in your garden! 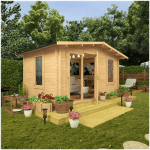 If you are looking for a medium-sized garden retreat at a fantastic price then look no further, as this particular model has it all, charm, quality and space. The interior is a blank canvas for you to create the room of your dreams – an excellent buy. 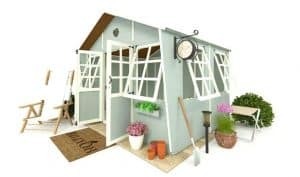 With so many things to consider when buying a summerhouse, it is best to consider what exactly it is that you are looking for and what features are most important to you. Below, the whatshed.co.uk team look in detail at an aspects or features that you may wish to know more about before making a purchase decision. The windows and doors: With four large, Georgian-style windows that fully open outwards and double doors that are glass paned for the top half, the windows and doors provide a light and airy environment from which to enjoy the view of your garden. 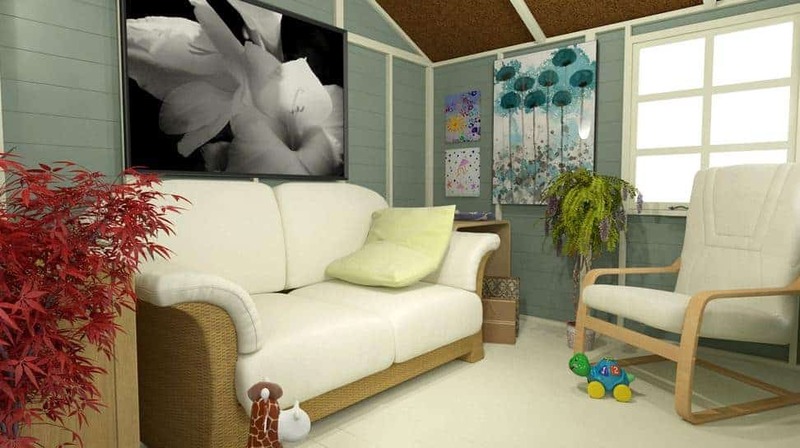 Interior space: This is a medium-sized summerhouse that would be fantastic for an individual or couple to enjoy. With space for furniture and the blank canvas that the interior provides, you can decorate as you wish to achieve a space that is fully utilised for your particular needs. What could I use it for? 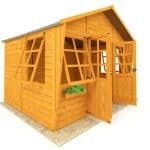 We feel that this garden building could be used for a multitude of purposes within your garden. 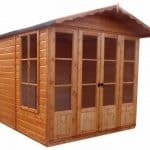 Primarily designed to be a summerhouse and retreat within the confines of your garden, this building could also be used as storage for outdoor and garden tools and equipment if needed. Given the basic interior, you could really turn this into anything you wanted, from a relaxing area for adults to a charming playhouse for the children. Whoever is lucky enough to spend time enjoying the summerhouse will be sure to have their own ideas on how it best be used. Special features: This model comes complete with a lovely hanging clock, adding a touch of charm to the exterior of the summerhouse. 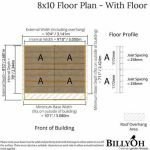 The Billyoh 5000 Dreamers Tongue & Groove Summerhouse: How easy to build? 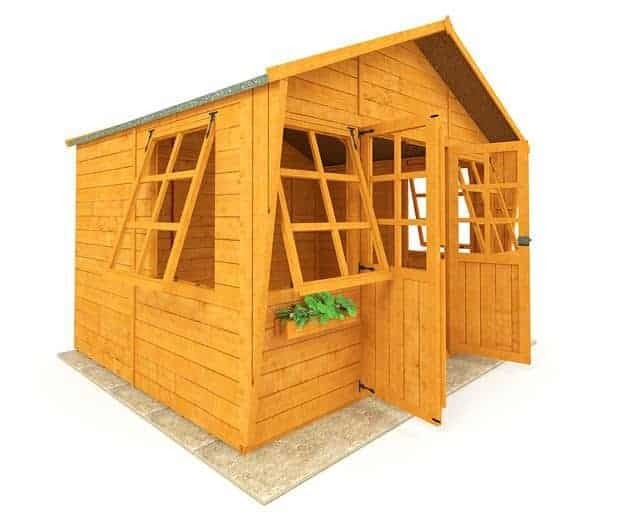 It is fair to say that with a medium-sized garden building such as this with many features, a certain degree of DIY knowledge may come in useful. However, in reality, with the correct basic tools and the clear instruction manual in hand, it is possible for even the most hesitant at DIY projects to put it together. 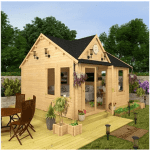 With easy to handle parts and an instruction manual with easy-to-read diagrams, simply work your way through the instructions step by step in order to erect your summerhouse. 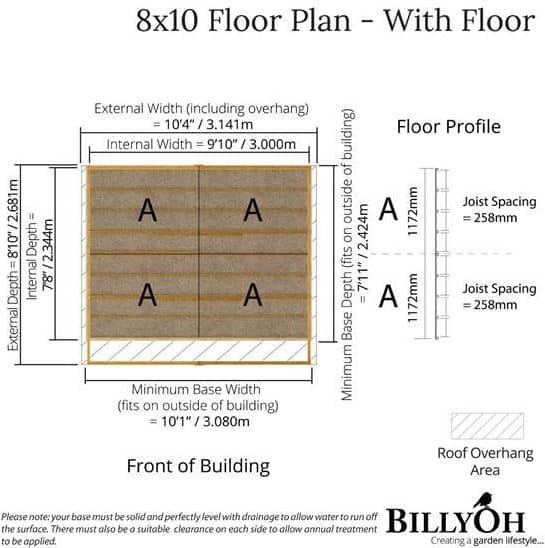 The Billyoh 5000 Dreamers Tongue & Groove Summerhouse: What is the overall quality like? 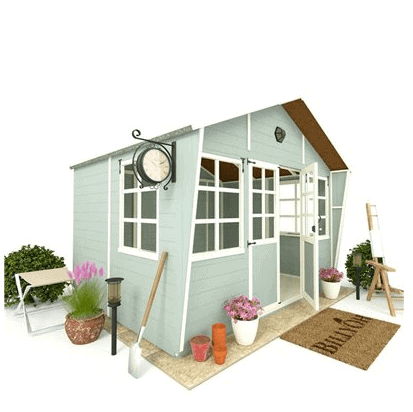 Billyoh is a British company, well known for its superb range of outdoor buildings that combine long-lasting quality and charming design features to add a stylish touch to your garden or exterior space. The tough framework and thickness of timber provide the summerhouse with a quality feel along with tongue and groove boards with that added touch of style. Due to the quality of materials used and the specialised finish of the paintwork, your summerhouse should look just as smart in five years’ time as it does when you purchase it. A building that is sure to last for many years to come, it is easy to maintain and clean. 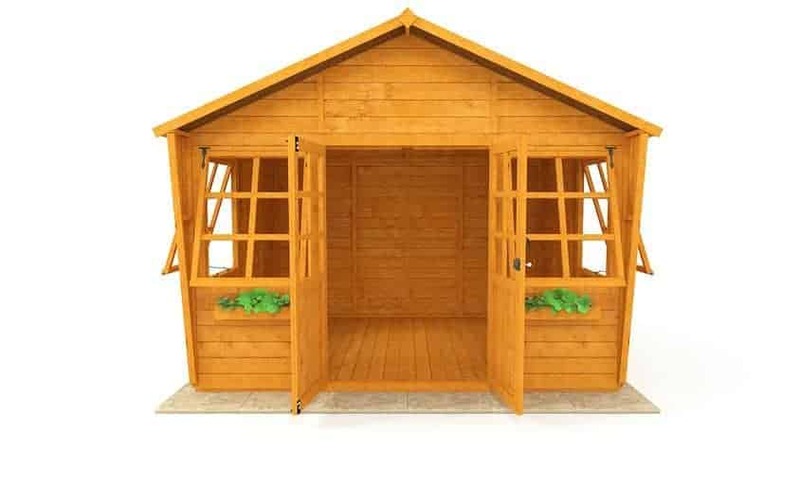 Should for any reason your summerhouse become dirty or simply in need of a freshen up, you may easily get it back to looking its best by using a basic sponge and water or alternatively a hose down with water. 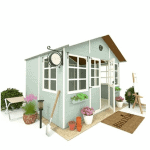 There’s no doubt about it, this summerhouse will add a wow-factor to your garden. Whether for entertaining friends or catching some precious minutes of quiet time all for yourself, this garden building could serve a multitude of uses for the whole family. At an excellent price considering the detailed style and design, the enjoyment it will bring to your family will prove it to be fantastic value for money.